This website copyright 2019 by The Word Chapel and Churchprovider.com. All rights reserved. 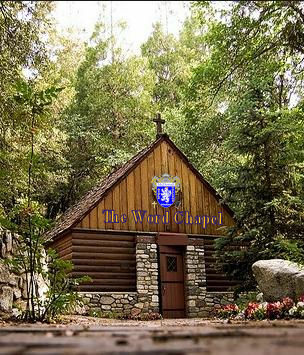 The Word Chapel is a Christian non-denominational internet location for studying the bible, viewing sermons, and enjoying songs and other resources that would assist you in worshiping God from any location in the world where there is uncensored internet. It is for those who are traveling, shut-in or just want more Bible study or worship resources. It is also for those who just want more fellowship with Christians from around the world. The Word Chapel is also the online chapel for students of the online McDowell Bible College (MBC) and is provided by the students and faculty at MBC for everyone. In fact, MBC began from the concept of online bible and ministry training presented from this website at The Word Chapel back in 2015 and was later expanded into the institution of higher learning and seminary it has become today. Therefore, The Word Chapel was brought back into active service and expanded to serve Christians around the world as well as MBC students and faculty. If you are not a Christian, please click on the “Are You Saved?” link to learn more about the good news of Jesus Christ. If you were already a Christian, but have fallen away from fellowship lately, we ask you to study the bible and view the sermons here on our website and, hopefully, locate a church near you so that you may rejoin that loving fellowship. Here is a place where you are loved, as Jesus also loves all of us. It is a place of no judgment where you can learn more in privacy until you are willing to participate yourself in the process. We offer a forum where you may discuss “the hope that is within” us as well as make prayer requests with other Christians from around the world. So, we hope you will support The Word Chapel and McDowell Bible College with your participation and donations. Donations to The Word Chapel are used to support this online worship and bible study resource as well as all the other resources provided by McDowell Bible College, to include scholarships for Christian students and pastors around the world. Your dollars do great work to help introduce others to the Gospel of Jesus Christ and train students around the world for His service in ministry, worship leadership, church administration, biblical studies and church media & computer science. Help us to build this beacon for service to the Lord. For more information about McDowell Bible College, go to McDowellBibleCollege.org. The Word Chapel is not intended to replace your local church. If you do not currently have a church, please use our church locator linked in the left column to locate a church in your area. The students and faculty who support The Word Chapel, also support a church where they live. If you find any data in the church locator that are incorrect or out of date, please contact us with any corrections. Thanks for your support and God Bless!